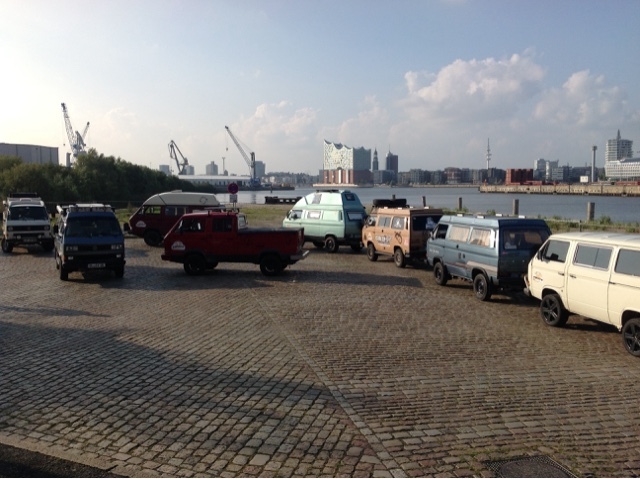 Relaxing in Hamburg after a long few weeks so it's time to post a reflection about Busfest in the UK last weekend. 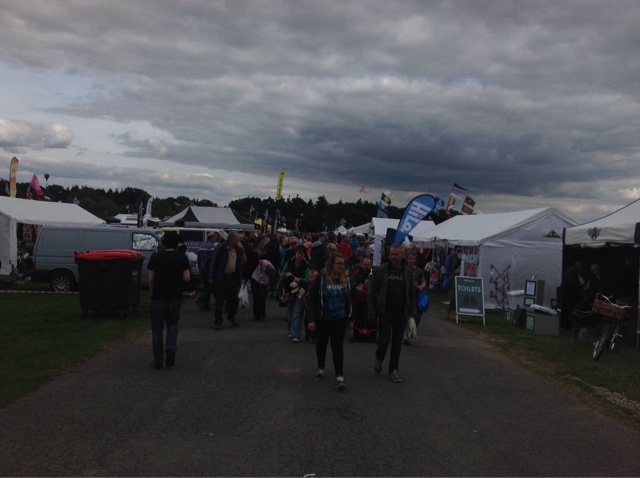 The day finally arrived and after a lovely organic breakfast with our friends in Oxford we set the Tom Tom and headed through the beautiful English Countryside to the Three Counties Showground in Malvern, Warwickshire, the site of Busfest. Of course we were quickly on a motorway surrounded by trucks so our idyllic drive was at an end. But when we turned off the motorway towards Gloucester it was just beautiful. Past houses and inns that had been built well before Captain Cook set sail to explore the South. Very green and lush and just a great drive. 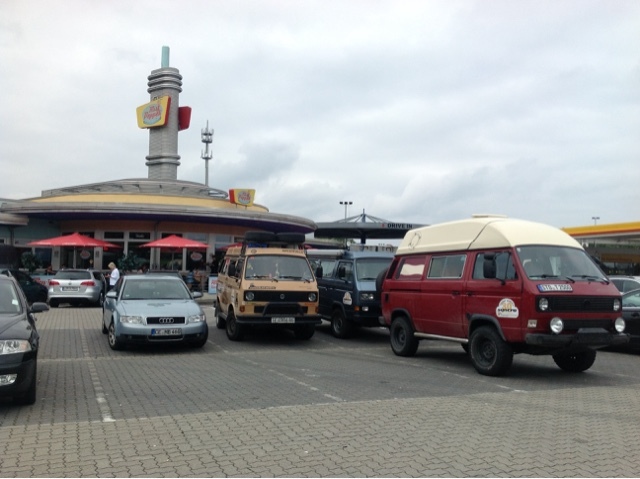 And of course we started seeing all types of VWs heading to the same place. A great photo from 2014!!! We arrived at the main entrance and were met by Michael who was in charge of the Syncro display and he escorted us with a yellow beast that was previously owned by Bernd Jaeger, a German specialist in Syncros. It has an Audi V6 with a very modified drive train. Here it is during one of the many exhibitions to show the crowd what it could do. Note the left front wheel in the air. There was a special spot for our cars. 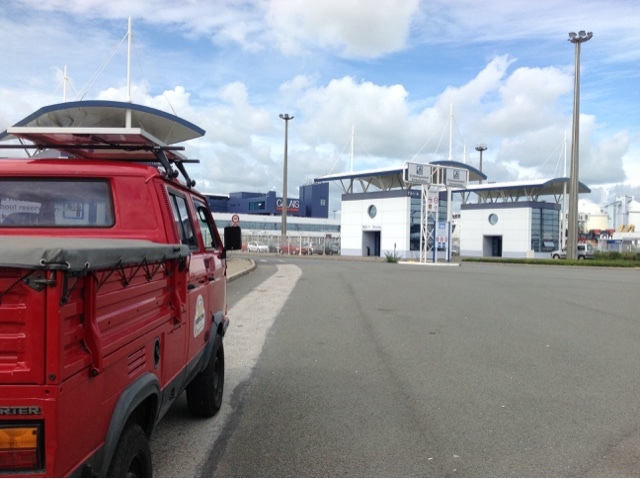 In front of the main arena which was set up for a Syncro display. Hart was quite the celebrity and two german film crews interviewed him for a story. Of course he had no troubles telling his story as he had been doing it all weekend! And it is a wonderful story. There were around 30 Syncros parked in the display and we all felt like special guests. We met Joachim from our tour who had travelled from Germany and James and Sally from England, also Steve who was also on part of our tour. Great to meet up again. And then in they came. Every type of bus you could imagine from split windows through to the latest T5s. 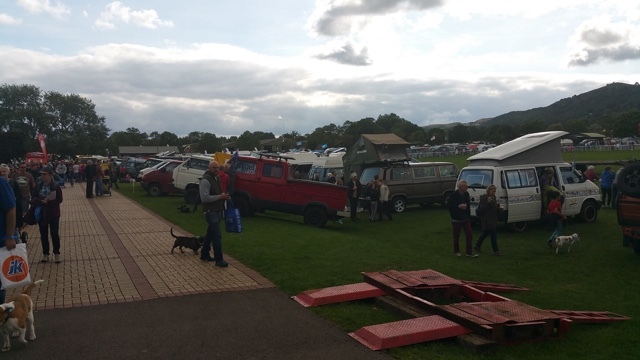 The Busfest program says over the three days around 5000 vehicles attend and around 25,000 people. 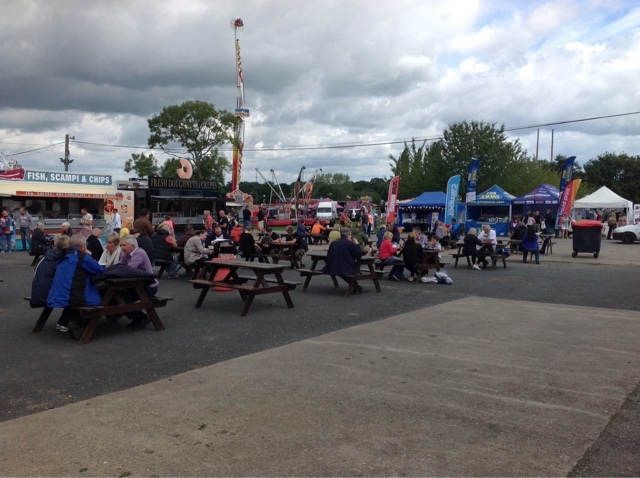 It's the largest international bus festival in the world. 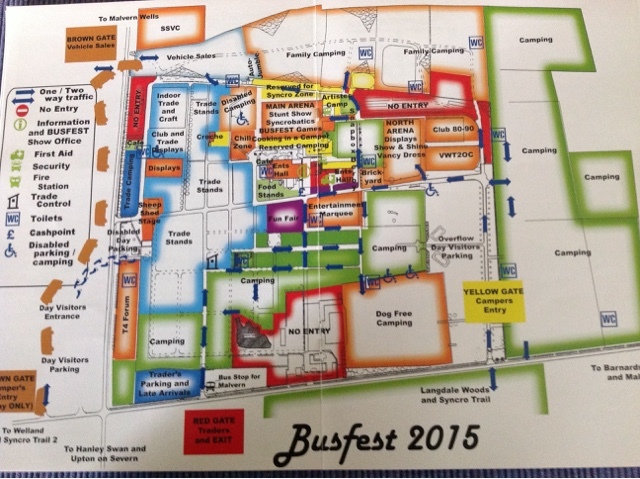 The camping area is huge and here is a photo of the area map from the program. Note the area in red marked No Entry. 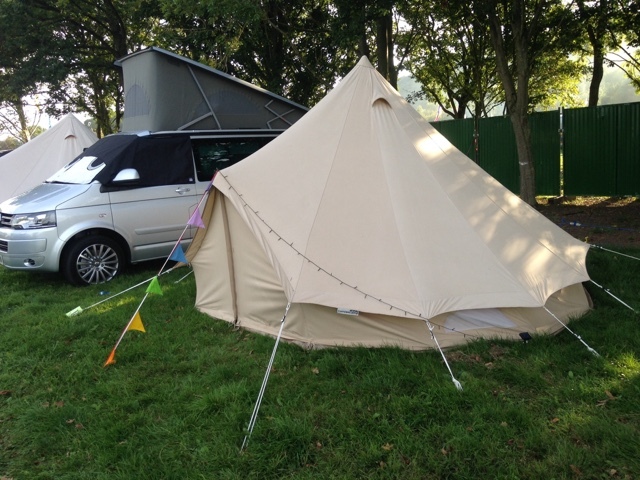 This was for VIP camping and we were treated as honoured guests with a VIP camping tent. 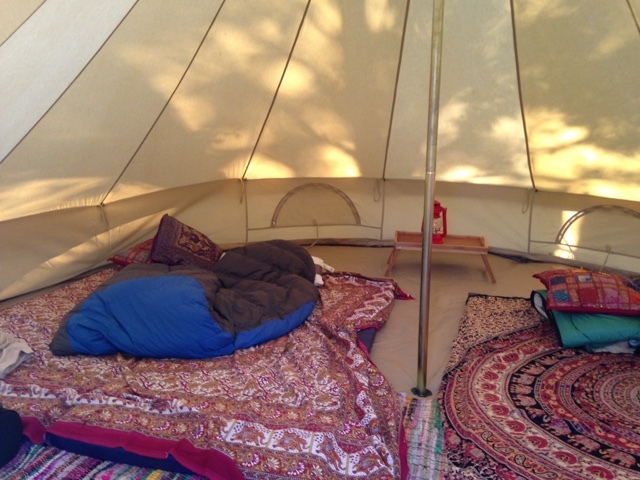 The area had a number of very interesting tents called yurts with and Arabian theme inside and four good quality thermorest camping mattresses. Very nice indeed. And also a high class shower and toilet area. To top it all off there was a spa area amongst the tents. But no time to enjoy such luxury. We were very appreciative of such generosity from our hosts. 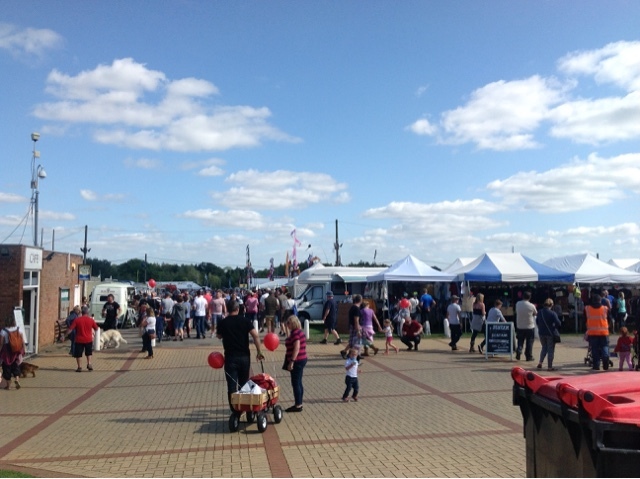 And then there were the trade stands. Around 500 of them. 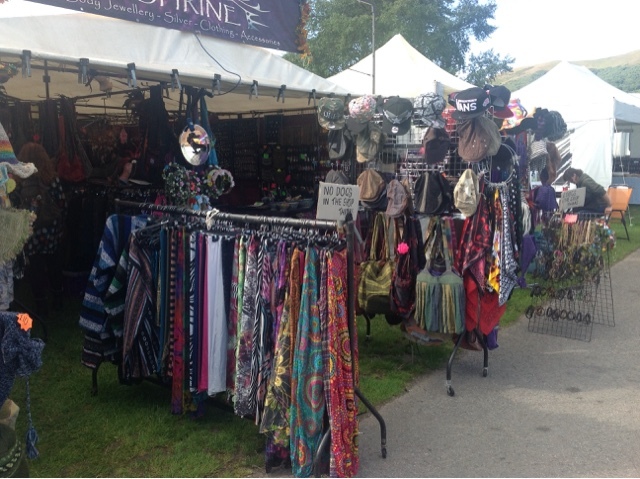 Set up in the big sheds on the Showground and in alleyways like a shopping mall. Selling all sorts of VW stuff. 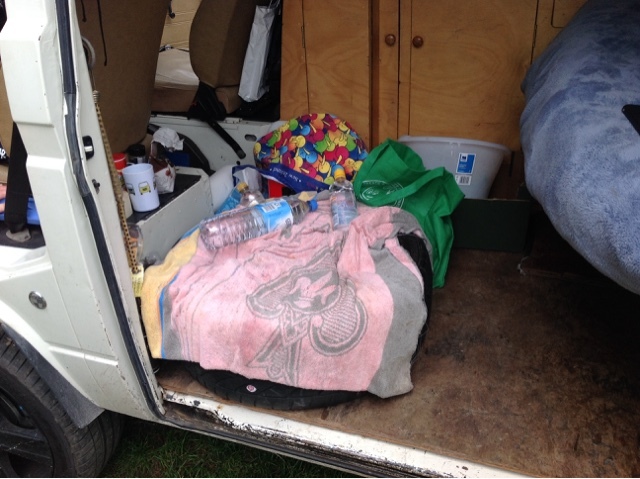 There were parts, both new and old, carpets, clothing, sound equipment, camping gear, tents, new cars, old cars and just too many other things to mention. They also had a large kids zone which was great for parents who wanted a break from their kids. And after that, food and drink vans of all sorts. 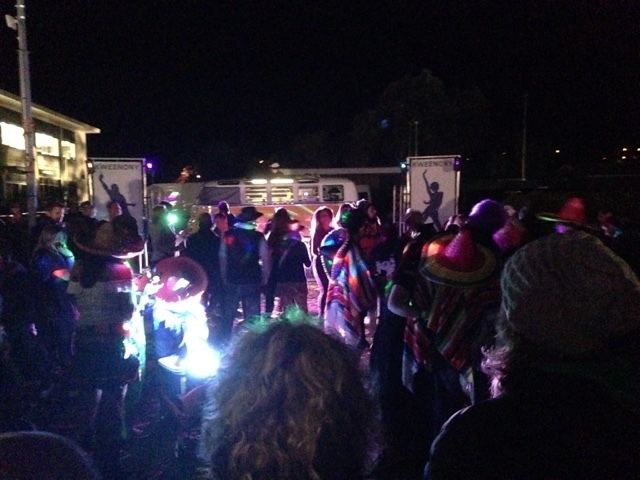 And at night there was music of all sorts in a large tent and other buildings on the site. It reminded me of being at an outdoor rock concert like the Blues Festival at Byron Bay. This is a photo of a DJ operating out of an open Kombi. The other observation we made was the amount of dogs that people had. Amazing. 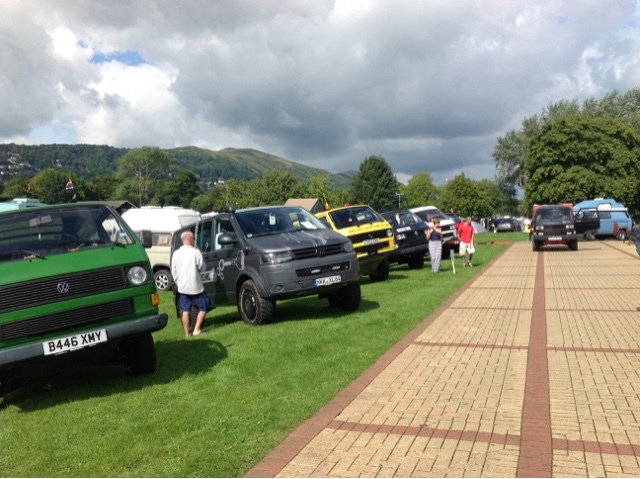 Someone said Busfest was actually a dog show for people who drove Volkswagens!! 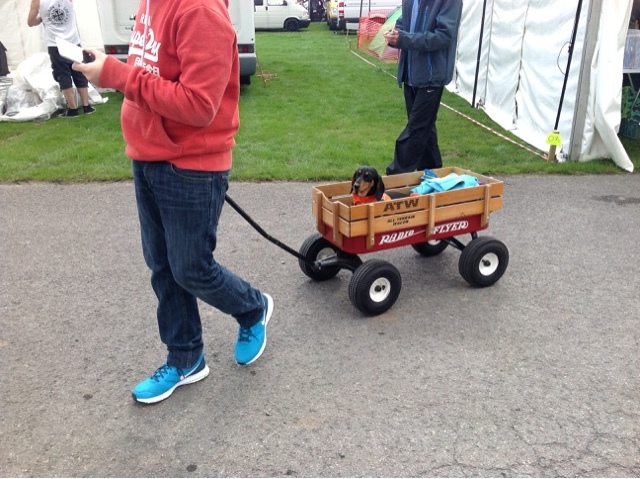 Check out how some people took their dogs around. And they used the same trolleys for car bits and/or children. The trolleys were for sale for £55. We wandered around all the trader stalls and bought various bits and pieces for our vehicles. Some good stuff that is hard to get in Australia or costs a lot in postage. And we made many contacts for future searches of parts. Very handy indeed. One of the daily events was called spit screen alley. Here is a photo of one that I am sure my dear wife will love given the colour!! Sad news is that beautiful red and black splitty got rear ended on its way home on Sunday night. 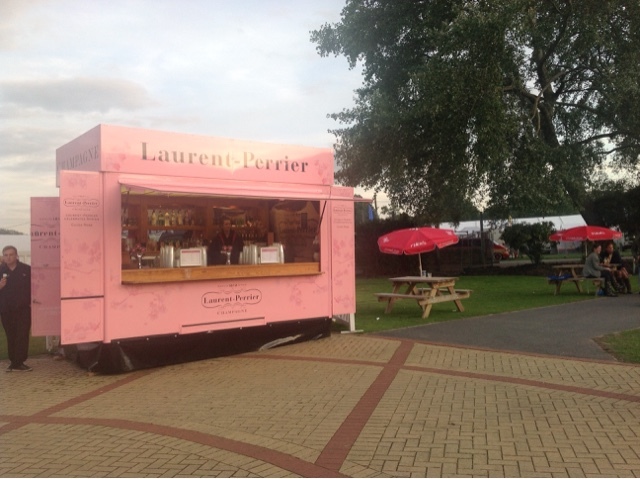 It is owned by the sponsor of the VIP camping area. We don't know the fate of the car but no one was injured thankfully. 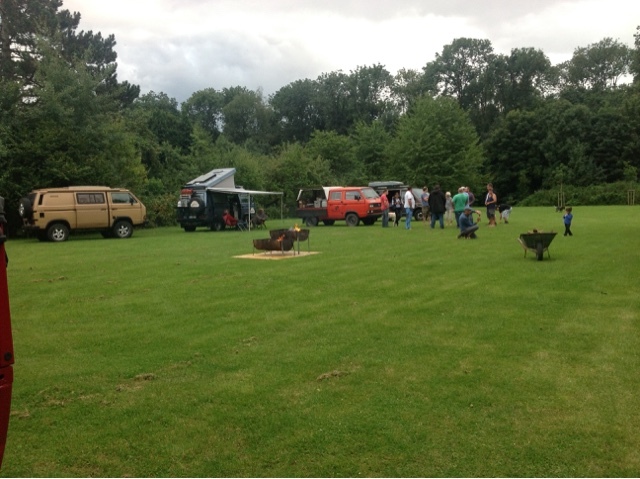 Events wound down late on Sunday and the few of us left had a lovely BBQ to wind up the event, including the German film crew and a lovely couple who lived locally and provided the charcoal grill. Then it was all over and we crashed into our yurt ready for an early start the next day. We had a horror drive back to Dover on Monday morning in the traffic and although we had a two hour buffer before our ferry, there were two road accidents and we got to Dover just as the ferry was leaving at 12.15. Damn!! We got the next one and while we were waiting I had some wifi in the terminal. Checked Facebook and there was a post with a photo of our two Syncros in the boarding lanes! Turns out a trader from Berlin we had met and bought some stuff was also at Busfest and was in the line near us. He is a good mate of Jörg from our round trip and he had posted on the round trip Facebook page. We had a good chat and sat with him on the ferry. Got some great tips about sourcing parts. 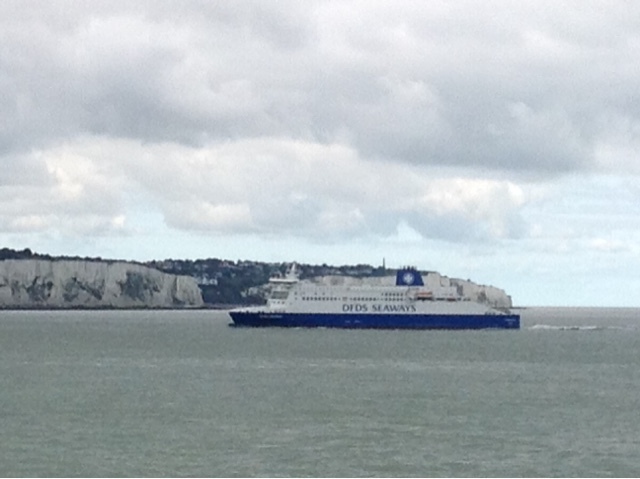 We had a last look at the white cliffs of Dover as our ferry left for Calais. A long drive to our overnight stop in Arnhem at the gliding centre in The Netherlands and we hit the sack after a cup of peppermint tea totally exhausted after an 18 hour day. 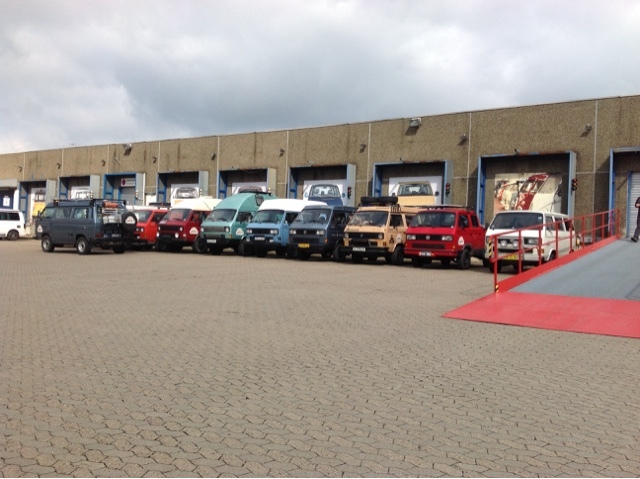 Then it was back on the road to Hamburg amongst the trucks. They were doing some line marking near the Bremen turn off and the trucks were lined up for kilometres as we were down to one lane for a while. One thing we noticed was the lack of any road rage and all the drivers were just so courteous. Wish we had such manners on the roads in Australia. Have a look at the line of trucks and this was only a sample. 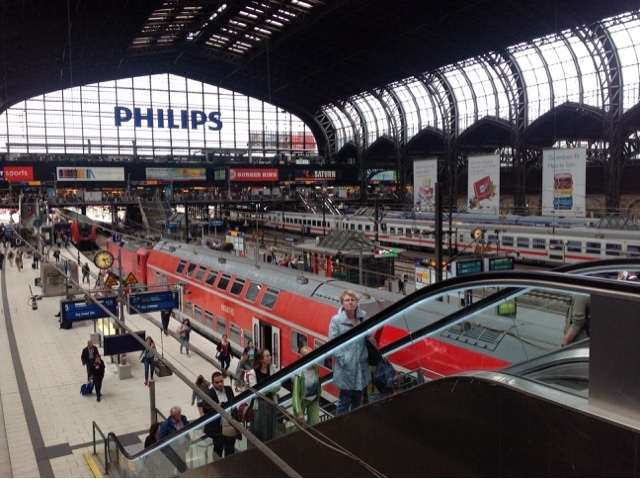 We got to Hamburg at 3.30pm and just crashed. What a trip!! 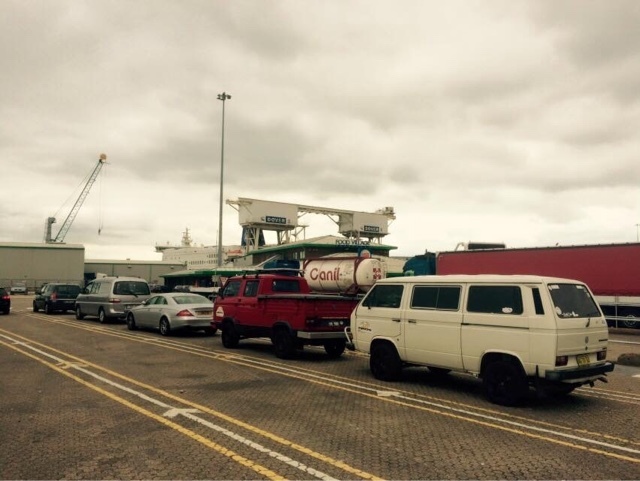 Now a job for Hart and Paul to prepare their vehicles to be delivered to the Hamburg wharf for loading into a container. We fly home on Tuesday 15 September and we are both looking forward to getting back to Port Macquarie. 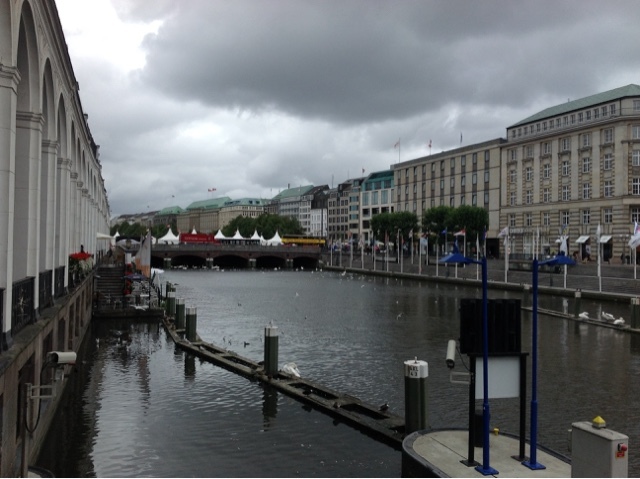 In the meantime it's time to relax and check out the beautiful city and harbour of Hamburg. Just posting this old blog now as I have wifi. 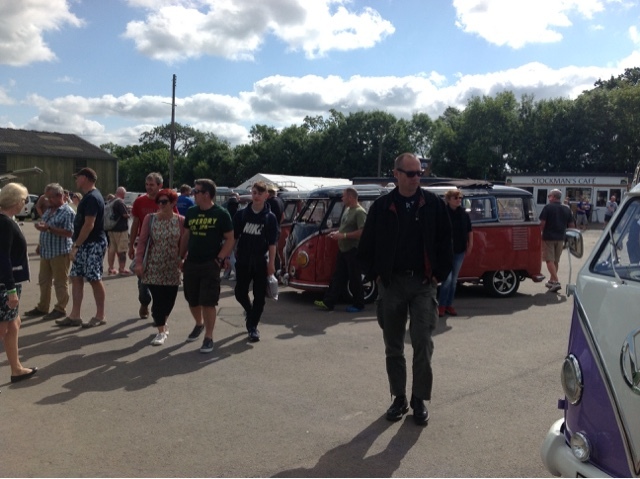 Another one about Busfest with VW photos to follow. Spring has arrived in Australia but it's autumn in Germany. I am writing this update as we scream down the autobahn at 110 kph with Hart at the wheel of the trusty Tristar. Trucks are all around us and I thought it was bad driving from Port Macquarie to Sydney. 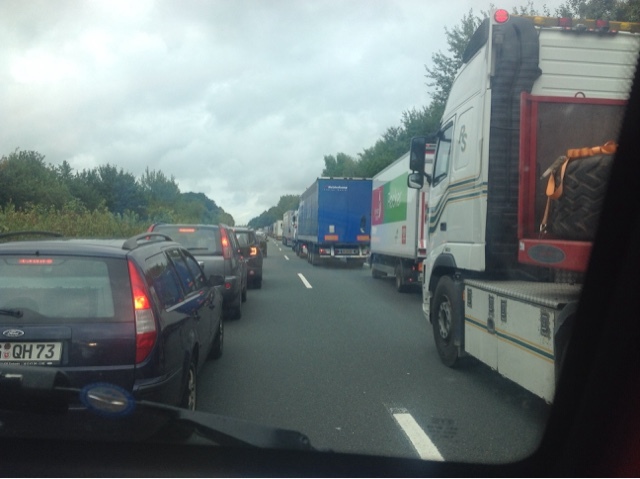 There are three lanes on our road heading South towards our overnight stop at Arnhem in The Netherlands. On our outside is bumper to bumper semi trailers going at 100 kph and we are in the middle lane doing our 110 kph at times and on our left are are a variety of low flying jets!!! The occasional Porsche goes past but we barely see it. Except we have a traffic issue with a closed lane ahead so it's not quite so crazy. We have had a few days to recover from the Germany tour and clean out the cars, get some rest and enjoy the hospitality of Hart's long time pal in Wentorf, just East of Hamburg. His house is in a beautiful setting beside a golf course. We had a visit from Hart's godson who is a Lufthansa commercial pilot and enjoyed a BBQ or grille as they call it here. More local beer and wine. Caught up with Hart's brother as well and guess what, more wine. We both slept well that night. Poor Paul had some more issues with his exhaust and it needed more welding. He drove to Luneberg for a haircut but as well as the exhaust he broke a fan belt. Having no luck. He had the exhaust welded again and a second bracket put on. Bit nervous about his car so he headed off to Arnhem a day early just in case. He got there but more troubles as he found that the vibration that was causing the exhaust issues was a worn universal joint. He does not have a decoupler so he has had the prop shaft taken out and he is now in 2WD. But we think it will be better and he does not need 4WD anyway as were are on the highways. 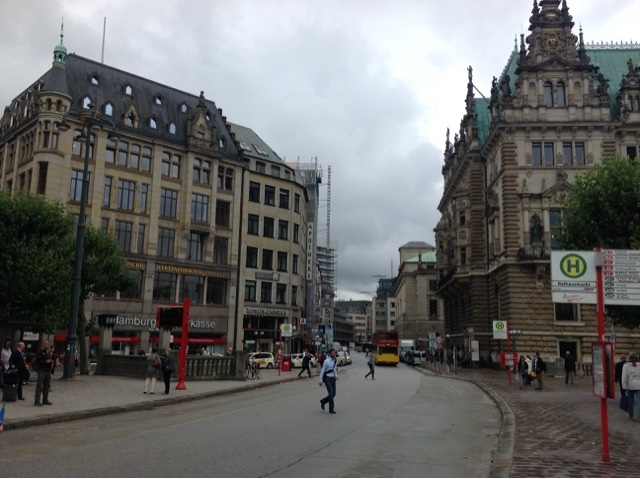 Yesterday I spent the day in Hamburg doing tourist stuff. Photos below. 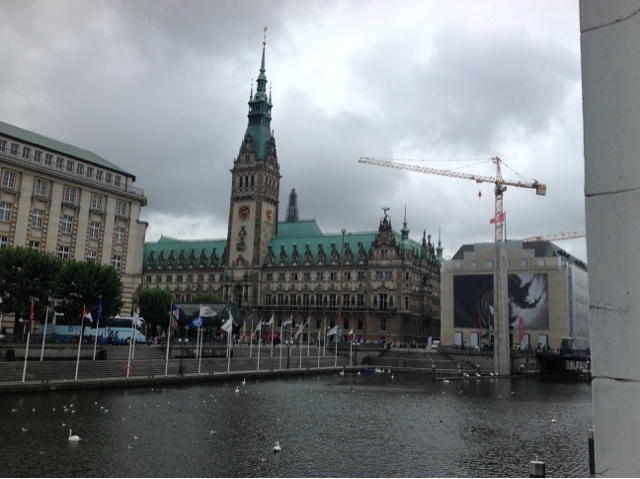 The Rathuas or town hall is a magnificent building and did you know there are more canals in Hamburg than Venice, according to the locals!! Met up with a guy Ann knows from her South African days and checked out a local pub. Very interesting. I thought I was on the set of that old sitcom, Cheers. Everyone knew each other. Only issue was they all smoked which is so unusual for us in Australia. 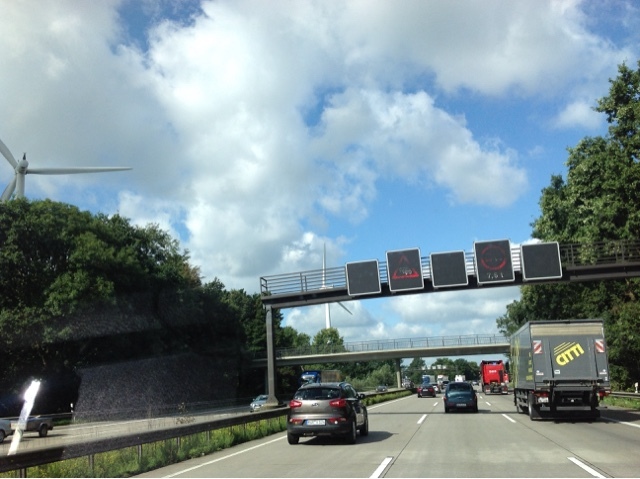 Some more photos of the autobahn and Tony Abbott wind generators. We drove through Germany and then into The Netherlands. As expected it was very flat and surprisingly no wind generators. Their power comes from coal fired plants or is purchased from France's nuclear generators. Traffic was intense and we have never seen so many trucks. Just incredible the amount of freight being moved. Our overnight stop was at the Netherlands gliding centre at Telet near Arnhem. An old friend of Ann has a nice cabin there. It's a large set up with 5 gliding clubs on the site. We estimated there were around 300 gliders based there. Our host Harold who is a 767 captain took us to one of the strips and we watched gliders being launched by a tow plane and also by winch. The winch had 5 cables so they were launching one after the other before a truck bought the 5 cables back. Harold took Hart up for a flight in the tow plane and they checked out Arnhem including the famous bridge from WW II. Was in the movie called "A Bridge too Far". After a very good meal at the restaurant in the gliding centre a well earned rest and it was off on our drive to Calais. More traffic and many more trucks even at 8.00 in the morning. Felt like we were in Sydney it was that bad!! Wonder what it will be like in 5 years time?? Our fellow traveller Paul has had more exhaust troubles and we have fingers crossed. We headed to Calais and then the ferry across the channel. 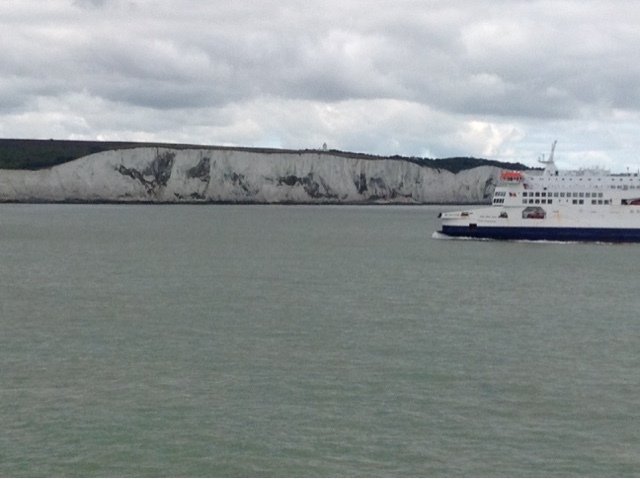 It's a 1 1/2 trip and it was so good seeing the white cliffs of Dover. One observation is that there is now another currency called ship dollars, or Euros. Just a small apple juice cost me 2.77 Euros. Worse than an airport!! We reach the shores of Dover and I am in the land of my ancestors who came to Australia at His Majesty's pleasure on an ocean voyage!! A drive to Oxford to stay with our friends Damaris and John and we experienced the mobile parking lot called the M25. Stuck for 30 minutes in slow traffic near the junction to Heathrow. We got to Oxford eventually and a beautiful home cooked meal and catch up with our friends. Very relaxing time ready for the excitement of Busfest on Friday. 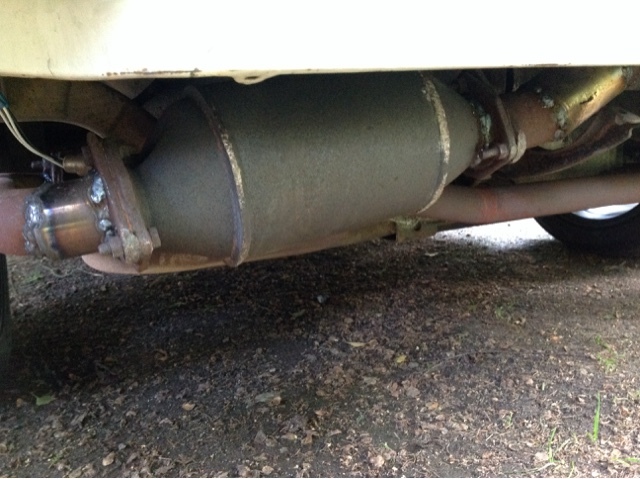 Paul and Hart returned from the visit to an exhaust mechanic in Goldenstedt with his catalytic converter back in place. Fair bit of welding there. They were both knackered to coin an Aussie phrase. Paul went straight to bed and Hart had a nip of Schnapps to keep him going as there was more VW discussion to be had during the night!! At this point I should mention that we broke a WORLD RECORD. Yesterday the red Tristar covered 600km on 57 litres of fuel. That's 9.5 litres per 100 km. Unheard of in a Syncro. Hart was so excited as in our Syncros around Port Macquarie we get about 16. It's a combination of very good roads and quality fuel. We were using 98 octane. Mark in a fully laden petrol Syncro was also very excited at getting 11. He gets nothing like that in Spain. Panic set in around the camp when Hegi pulled up the weather forecast on his phone. Rain storms forecast with red areas on the radar. Everyone secured the site and we took down our tents and moved into a nearby shed. Who knows what the army used it for but we suspect it is used as a drying room for the off roaders. We had a very dry night on a concrete floor but the rain never came. Oh well, never mind. I mentioned that Paul's troubles were the first real breakdown on the trip. But there was a more serious one. Hart's blow up mattress developed a leak and we could not find it. Disaster!! So he bought a new thermorest when in town and used it for the first time on a concrete floor. I think his back survived. 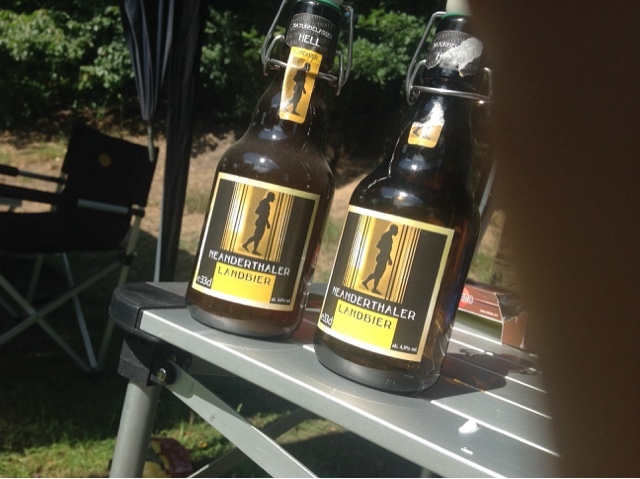 We headed off to our next campingplatz in Steinhuder Meer (in the Hannover area) and set up our tents for the 12th time. I think we are getting the hang of it. What a laugh. It's a place set up for camper vans with their own toilets and showers. Mona calls them Tupperware Campers. 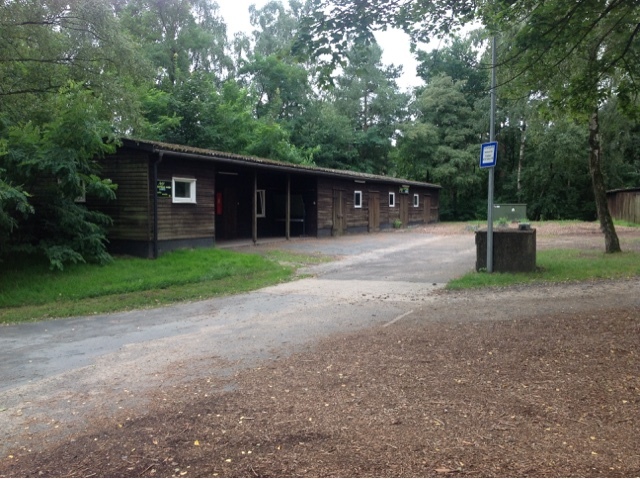 As a result there is only one toilet and two showers in the camp facilities. And you have to pay for everything with coin in the slot machines. Power if you need it costs 60 cents per KWH. Then you also pay for water and showers, one euro for 5 minutes. Lucky there were no teenage girls in the group!! After setting up we went to one of the highlights of the trip for any VW nut. The Grundmann museum in the nearby town of Oldendorf. We were amazed at his collection. Starting with rare hand built cars by a guy named Rometsch. They were popular with US film stars and he has a car that was once owned by Gregory Peck. The cars were built on a wooden frame with hand crafted aluminium panels. Unfortunately we could only take photos for personal use on the strict understanding they could not be put on the Internet or shared. I have to respect his wishes. The next area had a collection of vintage Porsche cars and some in original condition. Wonderful machines. Too many to describe. 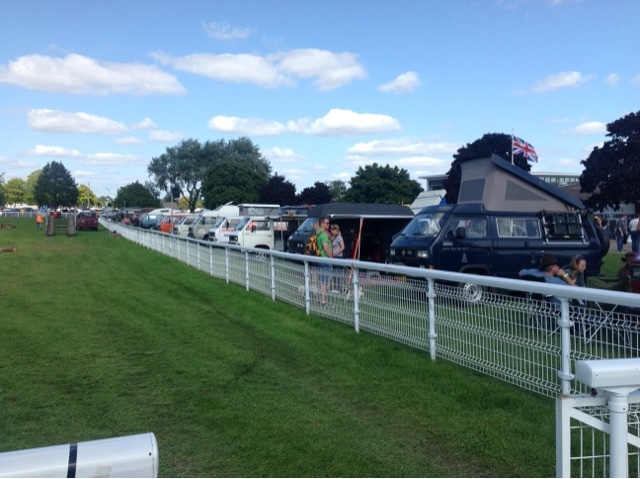 And of course a few vintage VW buses including one that was used in the USA as a mobile radio station. The funniest ones were hand made vehicles from the former East Germany. Even a complete Kombi made of wood. The next room was even more amazing. An original 1938 beetle prototype that was found in a Russian field. They restored it to original condition. A very rare vehicle indeed. Then a collection of German military vehicles including a kubelwagen (let's call it a VW jeep) prototype and a production car. Also an original schwimwagen, the VW amphibious vehicle. Very rare also. Hart was excited about this as he used to own one. 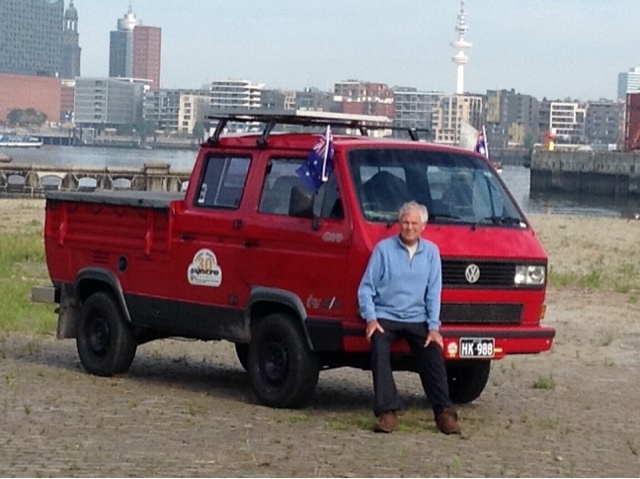 My dear wife Ann-Kathrin used to have a kubelwagen when she was at university in Hobart. It is still in a collection in Australia and appears sometimes in magazines and motor shows. He even had a VW beetle that was owned by the Nazi third in command Alfred Rosenburg. It was just incredible to see such history and he is continuing to search out and acquire historic vehicles. We had fun trying to estimate the value of the collection. Impossible. 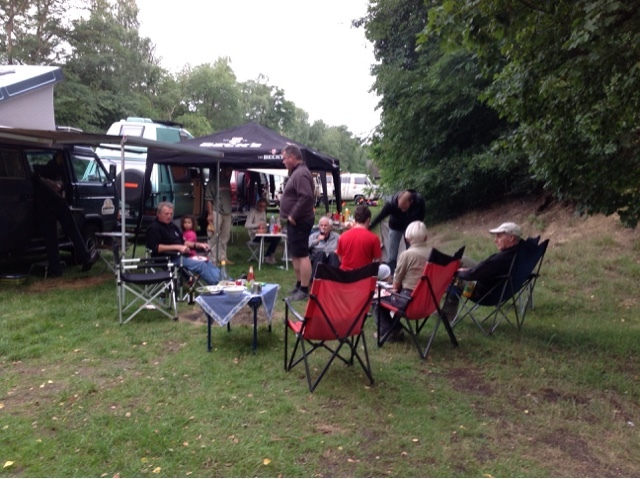 Then back to our camp at Steinhuder Meer amongst all the motor homes. Not a person in sight and we think they were all inside their vans watching TV!! For the trip we did not have camping chairs or a table and it's amazing what you can do on the road. Here is a photo of our table where we cooked each day. Including a very nice tablecloth!! It had been raining steadily so we set up camp by grouping the Syncros with awnings together for protection. Mona made a large batch of pasta and with a few beers all was well with the world, and then after a couple of schnapps it was off to the tents to listen to the rain that was forecast to last until 8.00 in the morning. Hart woke up in a wet tent so we hoped for some sunshine to dry out all his gear at our next camp. Breakfast over and we set off for perhaps the highlight of the tour. 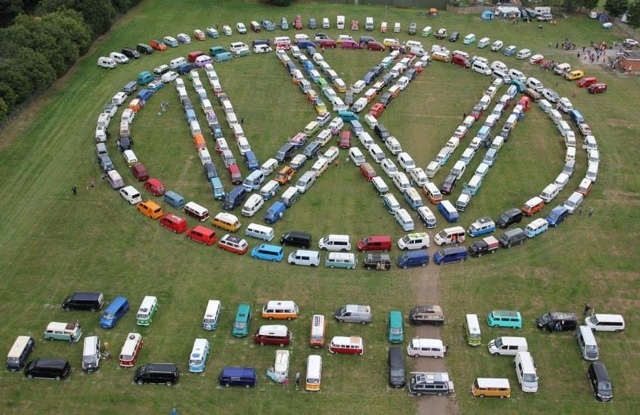 The VW commercial vehicle centre in Hannover. The Holy grail someone called it. By the way, the big guy in the red shirt was a ring in, not one of the tour group. 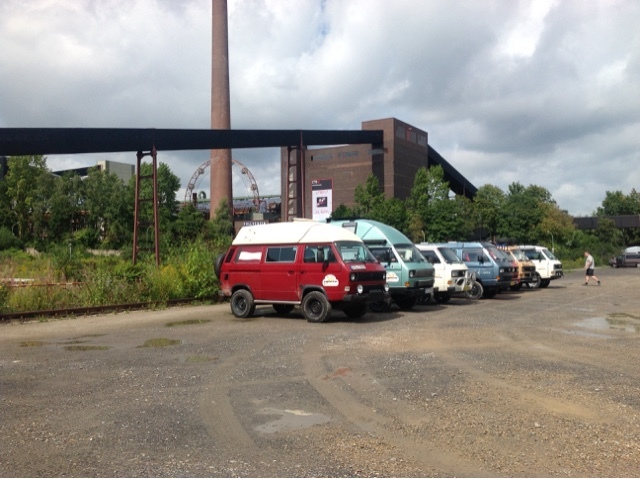 This is where they have collected a model of every VW commercial vehicle made which includes the original bus or Kombi as we call it in Australia right through to the T5 and Amarock. Unfortunately the brand new T6 was not there. Again we could only take photos for personal use. They also do restorations for clients as well and the workshop was full of vehicles in various states from just a bare shell right through to a nearly completed original Kombi in beautiful red and white paint. A three year project so far. Who knows how much that would cost!! There were original Syncros there as well as a couple of Tristars. 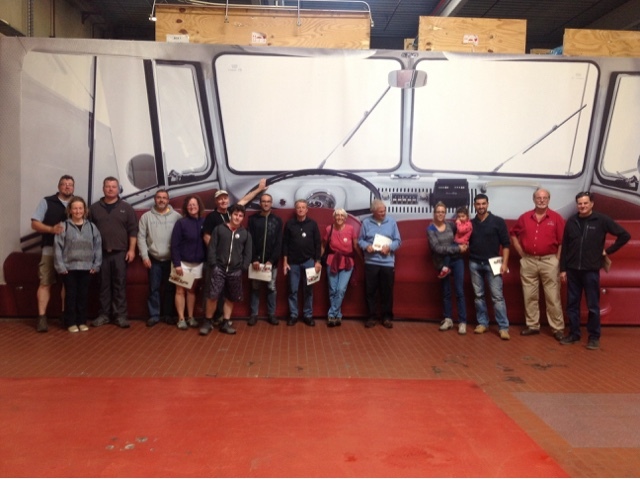 When we finished the tour the guys came out and had a look at our vehicles. Everyone was just in awe of this collection and most found it even better than the Grundmann collection. We then headed off towards Hamburg on the autobahn and had some more exhilarating driving. In the other direction there had been a crash and we estimated the traffic jam to be about 20 km long. 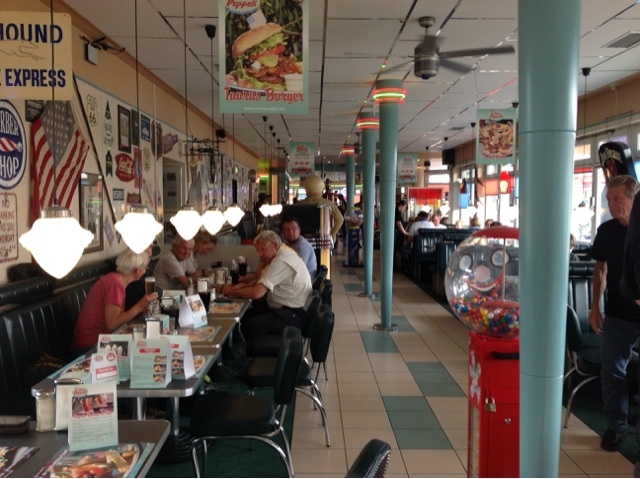 Our tour guides took us to an American Diner in Saltau. It was just what you would expect in a diner but we were all pretty hungry after the morning on the autobahn and in the VW museum. Then back onto the autobahn for the race to Hamburg. 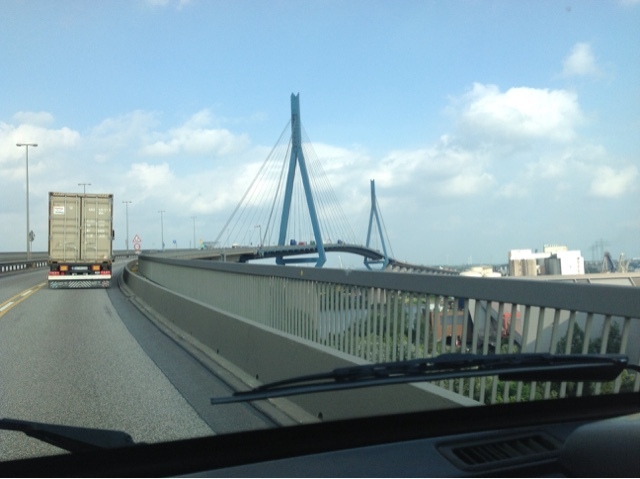 We drove over the Köhlbrand Bridge. 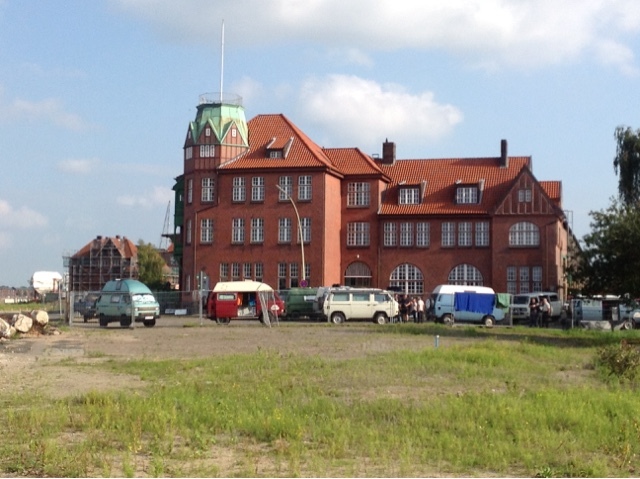 We arrived at a historic part of the Hamburg wharf area that Hegi had arranged for our camp. Beautiful views over the river to the city. We even found a patch of grass for the tents. A few more Syncros joined the group for the night and we had a great communal get together for our last meal together. Erika had organised a lovely gift for Hegi, Mona and Jörg and we had some nice speeches. I gave them each a koala holding an Aussie flag and thanked them from the bottom of our hearts for arranging the trip. Then it rained. Oh well, we just made the best of it. I even did a song called the Syncro Blues using Willy's guitar with a verse for each member of the group who made it all the way. We've all got those.....Syncro Blues. Talk went to the next event when the Syncro is 35 years old. Looks like the event will be in Spain and there was a lot of excitement about the possibilities. My mind went racing ahead to a plan to bring my Syncro over for an extended European holiday. Could be fun. Hmmmm. Some thinking needed here!!! Morning came and the sun was out as we chatted and talked about everyone's plans. Joachim was heading to Busfest in England like us and others were heading home. A photographer turned up at 10.00 to take some shots of the Tristar and talk to Hart. There will be a story in the German magazine, Autobild Klassik. Interesting that the Germans have taken up the phrase "old timers" to describe classic cars like our Syncros. No one wanted to leave but eventually the goodbyes started and it was a pretty emotional time for all. We set off to Wentorf to Hart's old mate Harald's place and I think we are both really looking forward to sleeping in a bed for the first time in nearly two weeks!!! On reflection, it was the most amazing trip to do a lap of Germany with only one minor mechanical issue in our nearly 30 year old cars. We saw beautiful landscape, castles, towns, villages, cities and lovely people. But there is no doubt the people of our tour group were the highlight of the trip. We all got on so well considering we were from Germany, Australia, Spain, France, UK, USA, France and Norway. Although not everyone spoke English we all managed to communicate and really bonded. Sad to see it all end but some lifelong friendships have been made. 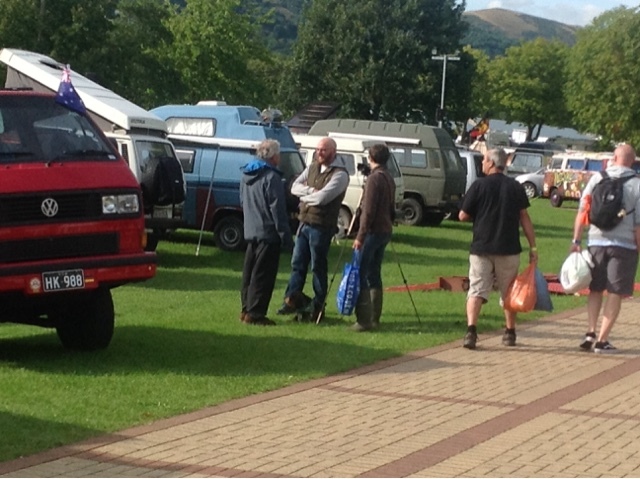 Now for a rest before we head off next week to Malvern in England for Busfest at weekend. Another clear night with no rain and after packing up our tents yet again (we can do it with our eyes shut by now!!) 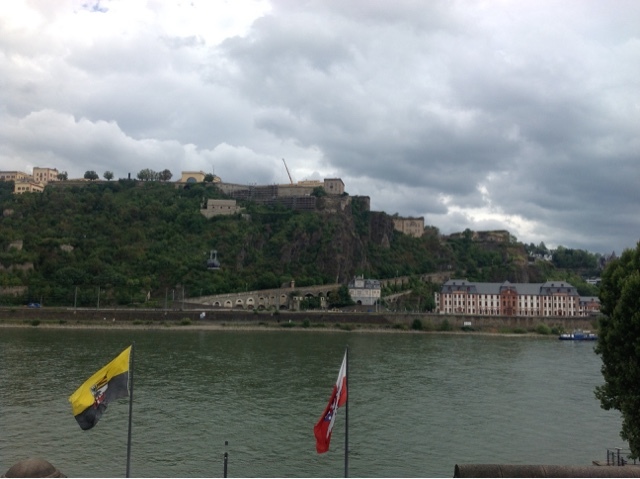 we headed to the beautiful town of Koblenz. Population around 110,000. 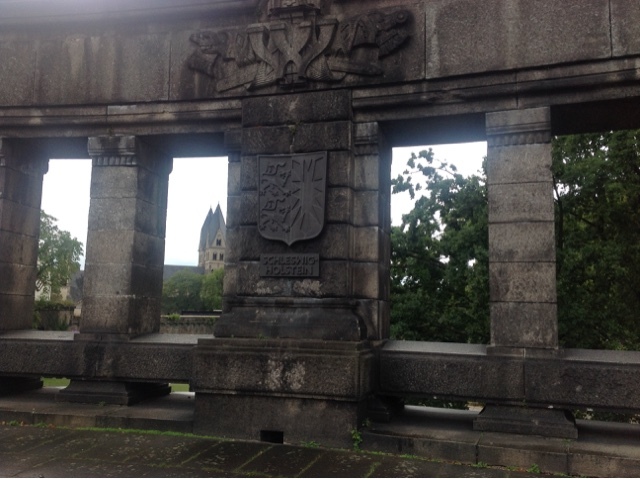 Very historic as it is situated at the junction of the Rhein (note I am now using the correct German spelling) and the Moselle rivers. The history of the town goes right back to Roman times as it was an important strategic stronghold. 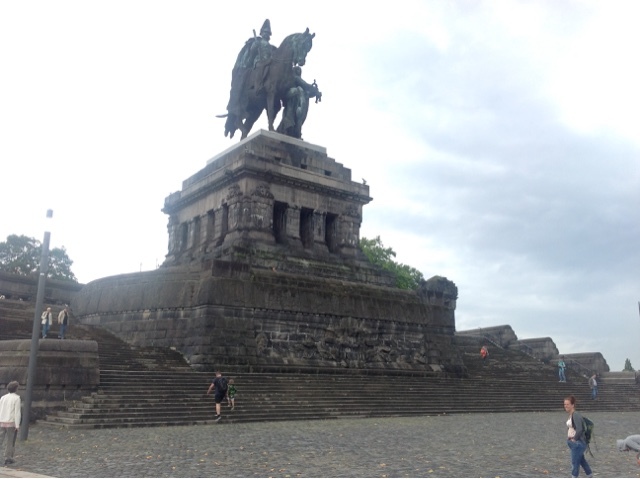 There is a very historic place called the Deutsches Eck or German corner because there is a massive statue on a plinth of the first German Kaiser, Wilhelm 1, who was king when Germany united in 1870 to become a federation. It was erected in 1897 and is very impressive. Great spot to take photos. Also there is a large castle on the opposite side of the Rhein called Ehrenbreitstein and it's a very impressive structure built high on a hill overlooking the river. Did not have time for a tour but hope the photo below does it justice. 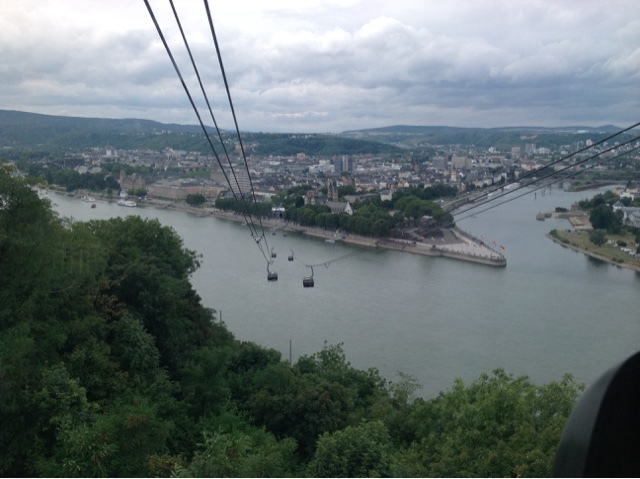 We parked near the castle and took a large cable car over the Rhein to the city. The pods can take 35 people. Not bad. Great views of the city. 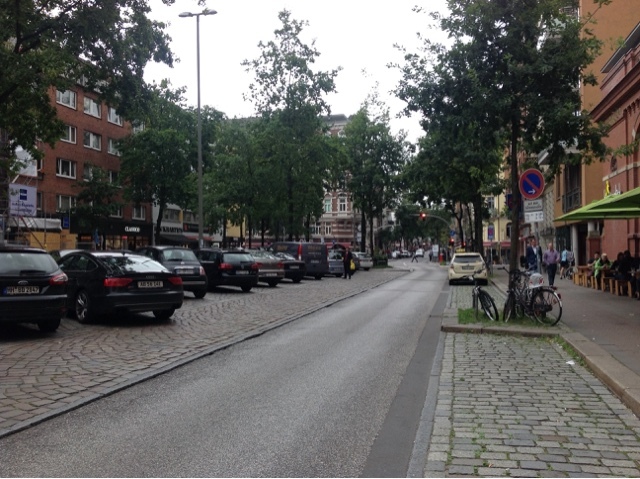 We walked around the city which has numerous laneways and a lot of historic buildings. A welcome rest for a lunch of fische and pommes, a coffee and then a close up look at the statue. It has the coat of arms of the states that formed the federation. 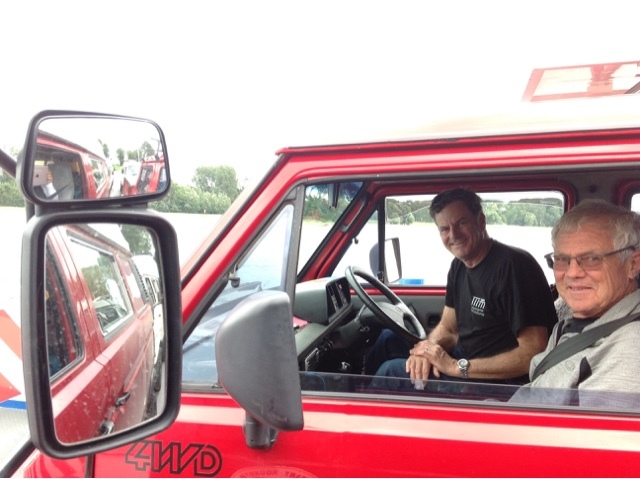 Back to the Syncros for a drive which took us to a small ferry ride across the Rhein. This was so great. Photo of us looking pretty pleased at being on another ferry. 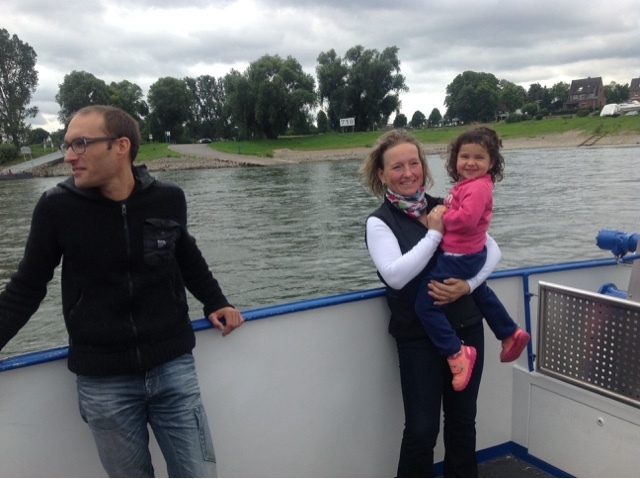 Nice photo also of Mona with Duna the little girl of Mark and Anna our Catalonian tour members. Joachim has obviously other things on his mind!! Along the autobahn to a small town called Dormagen where a member of the IG 16 club, Klaus and his wife Astrid have a large nursery with a fabulous outdoor area set up for club events. We circled the wagons again and few local members joined us for the night. Astrid set up a large fire in the middle of the area and it was a wonderful night. One of the local guys, Andreas, has a very solid off road Syncro and has travelled to many parts of the world including Africa. His van was full of brown dust to prove his adventure. It has only had three engines and five gearboxes!!! We had met him in Berlin so good to catch up. He had the miniature Syncro at the Berlin Festival. Bit of rain overnight but we kept dry in our tents. After another communal breakfast it was back to the autobahn to head to our next stop. 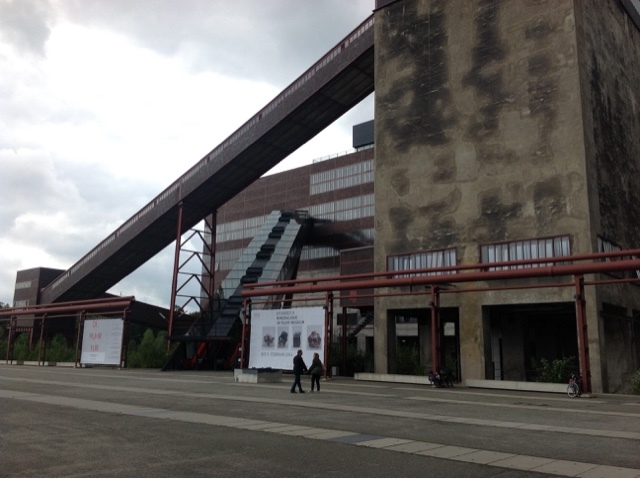 This was a UNESCO classified coal mine called Zollverein. It is huge and has a long history of producing coking coal from 1847. It was a factor in the unification of Germany as the owners worked hard to get the various customs duties changed when Germany was made up of separate States. It has been kept intact with lots of interpretative signs and it is also used for music events. It's in the Ruhr area which is a major industrial part of Germany and was heavily bombed at the end of WW II. Back to the Autobahn for some exciting driving to our campsite in Fursten Forest. This was previously an army base where a Panzer Division was based and it is now an off road park. Our first real mechanical issue when the catalytic converter from Paul's exhaust system fell off. Not good as it meant his exhaust was coming straight out a pipe and not going through the muffler. Bit noisy and putting out black smoke. Left that issue for the moment and we set up camp near a group of quad bikers who had been through the muddy tracks during the day. Another club member, Raimond joined us in his army green Syncro and bought along some local beer called Neanderthal as some skeletons were discovered in the area. Jörg warned us not to drink to much of this stuff or we will get big eyebrows!! Wednesday 26th and our planned rest day. To show the great spirit of the group, Willie phoned a mechanic near his home which is 70km away and arranged for Paul to see him after lunch. Hart and Paul set off guided by Willy and we took two Syncros into the off road area. What a blast. 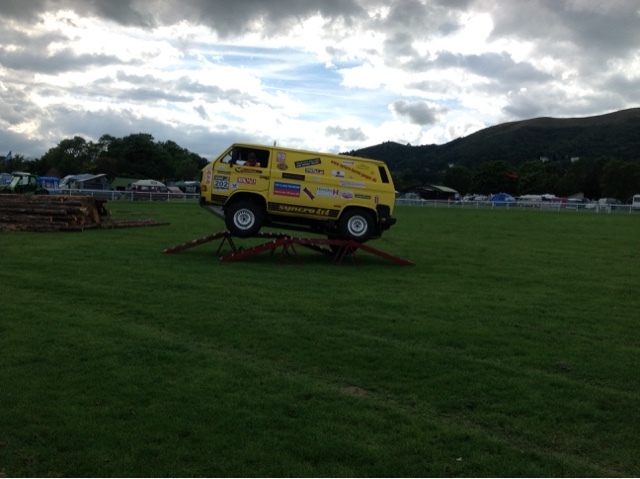 Hegi put his van through its paces and did some fantastic driving in the mud. Showed just how fantastic these vehicles are. Two quad bike riders watched and just could not believe it. 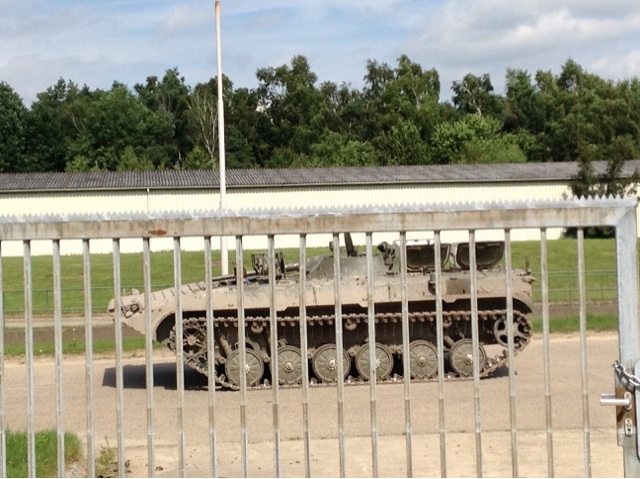 You can hire lots of different vehicles, even a tank to go into the forest and have some fun. 149 Euros for half an hour!! Afternoon now and time to chill as we wait for the repaired Syncro to return. Tomorrow we head to Steinhuder Meer near Hannover. Signing off. Peter from Port, your blog writer. 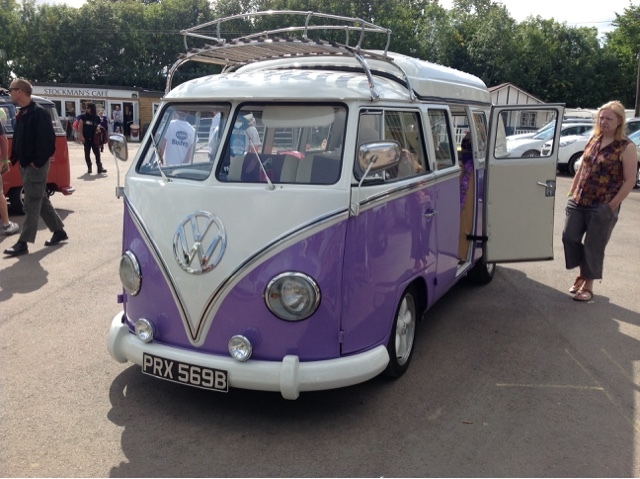 I married into a family who were VW fanatics and it supported a dream of mine to own a Kombi. But instead of a 1970's hippy camper I ended up with a fantastic Syncro 4WD camper. My wife Anni and I just love it and only get slightly frustrated when its off the road. But I have the philosophy of when something breaks, put in a new part and keep going!! !